FY 10 To fulfill the original projection provided to school administrative districts for FY 10 the Department of Education will combine $42,996,116 from the ARRA Stabilization Funds and $11,600,000 from carry forward Federal IDEA funds. Federal law permits the Department of Education to re-allocate carry forward funds not expended with the twenty-seven month period of allocation. These funds have not been spent by local districts and thus will be applied to meet our special education obligation within General Purpose Aid. 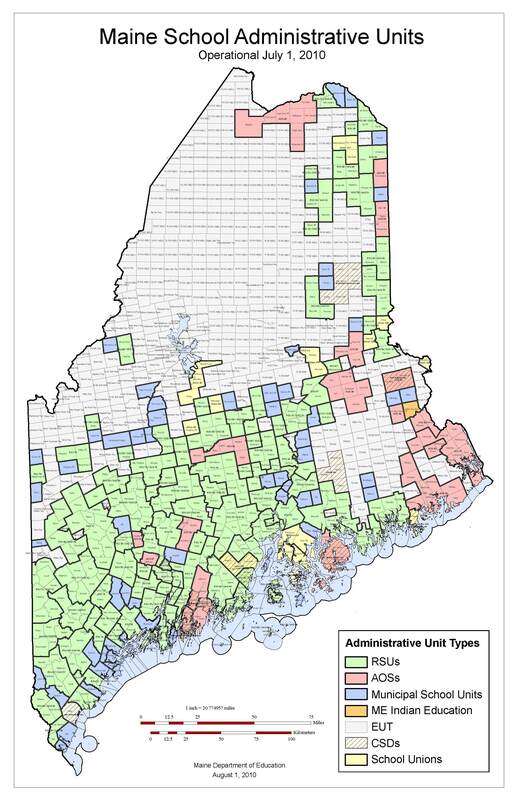 FY11 General Purpose Aid projection includes an adjustment to reflect changes to Mainecare which brings Maine into compliance with federal regulation and law. School districts will only be able to bill for special education services which are deemed medically necessary. The Department of Education will offset the loss of Federal Mainecare dollars with ARRA IDEA funds. 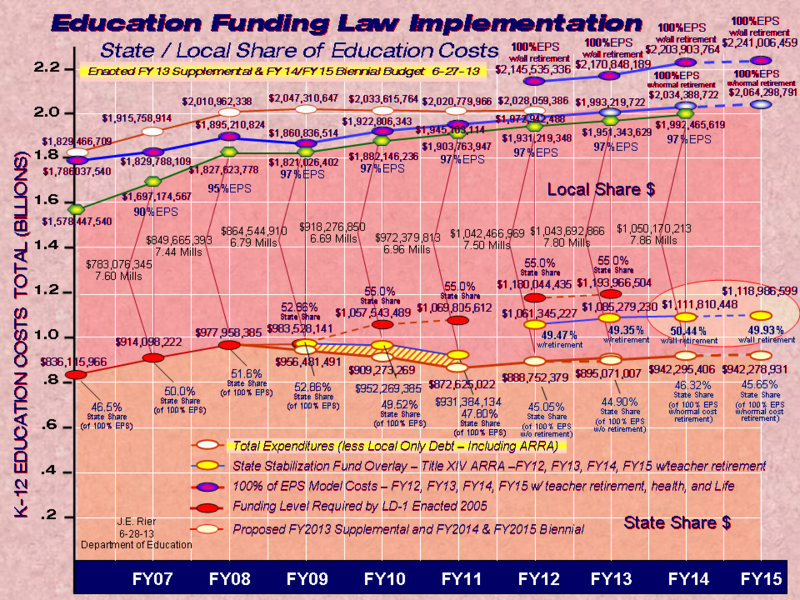 ($2,834,752) The FY 11 allocation will include $58,759,112 in ARRA funds to equal a proposed FY 11 State Share of $946,136,740.